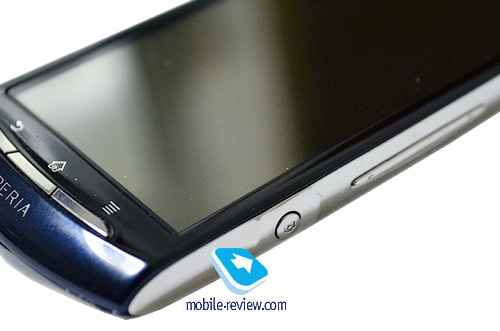 Sony Ericsson has made some interesting phones in the recent past and some of them enjoyed at least acceptable sales. However, some of the models had disadvantages that were not justified taking into account their price and positioning. An appropriate change is always welcome and it seems that MT15i along with Arc represent a step in the right direction. For the first time in its history Sony Ericsson has developed and is about to launch truly cutting edge devices and the company has almost nothing to fear in the hardware department as well. While that may not be entirely true in Arc's case since pricewise it will have to compete against LG Optimus 2x with Nvidia TEGRA 2 power, the Mt15i is at least positioned against "easier" opponents. MT15i can be called the successor to Vivaz, a phone well designed, which nevertheless fell short mostly due to its OS deficiencies. This time around, MT15i kept the same design philosophy with some changes, but received a significant hardware upgrade dumping S60 in favor of Android. 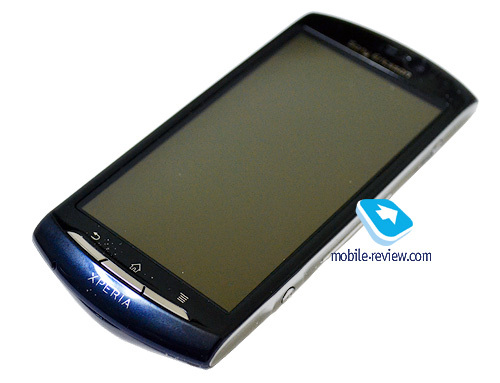 That fact combined with some software tweaks and a proprietary Sony Ericsson interface on top of Android produced a well balanced and skillful device, something that we had not seen from Sony Ericsson for a long time now. Most of those changes will be analyzed separately in their corresponding sections so read on. As we have already mentioned MT15i retains the same design philosophy as Vivaz, but offers changes for the better in all respects. It got a little bigger, thicker and heavier. While each of these parameters taken separately can't always be considered an advantage, in this case, an overall impression is more balanced and the extra weight is just enough to give it a "quality" feel. It's probably exactly the opposite from the weight reduction made in Arc that makes it different from its predecessor X10. 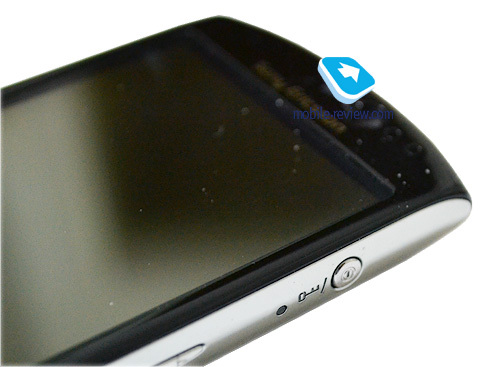 MT15i retains the same Glossy plastic used in most Sony Ericsson phones nowadays, and of course it can be easily soiled and covered with fingerprints in no time. 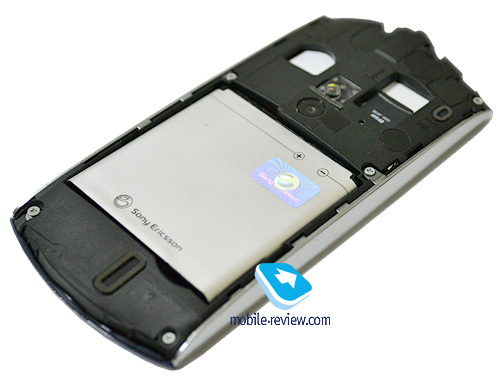 The quality of the materials is consistent with Sony Ericsson standards as well. 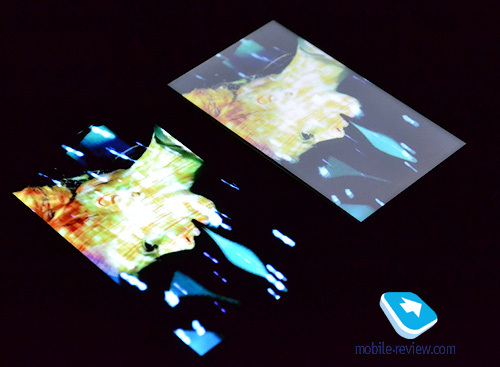 The screen became bigger and was added in resolution courtesy of Android native support for higher resolution in comparison with S60. The protective glass seems to lack any special coating to keep the screen free from grease and fingerprints, but as we dealt with pre-production model this may change. On the front of the device we find just the same three hardware keys used by Sony Ericsson in most of their Android phones. Much like in Arc their arrangement has changed and the return key is now placed on the left side of the phone with the Menu and Options keys now residing in the right side. Luckily, the Home button remained in the middle. The screen occupies the major part of the front. On the top there is an air piece accompanied with more sensors than we are used to see. There is the light sensor responsible for the automatic adjustment of brightness (which is still not supported by software), the proximity sensor and something that resembles a light meter for the front facing camera, although we found no use for it in the Camera application. 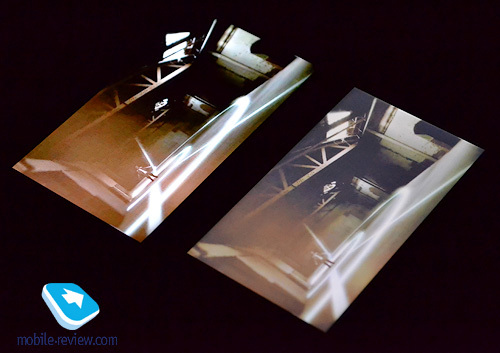 The front facing camera is present here as well and we must say that despite its rather large size it turns out to be an improved module compared to most phones and can at least offer acceptable results. On the back of the device there is the phone main camera coupled with a LED flash.There is also the speaker on the bottom which could have been placed better , since this position "silences" the sound when you hold the phone in hands . The interesting part is the second microphone placed next to the camera used for both Audio enhancing during a call and video recording. Now for the two sides of the phone there is a slightly strange configuration. The left side is completely empty of controls and buttons leaving the right side with the volume rocker, the camera key (which is normally placed here) and the power/lock button. This last button is way better positioned here than on the top of the phone like in most Android devices and can be used a lot easier when you hold the phone with one hand. 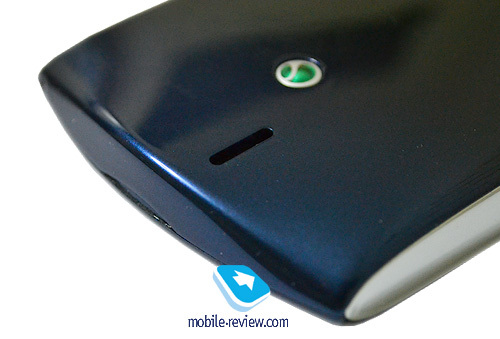 Finally there is a small LED light indicating charging with a yellow light, a green light when the battery is fully charged, a red one when the battery is almost empty and flashing with blue when the phone is ringing. 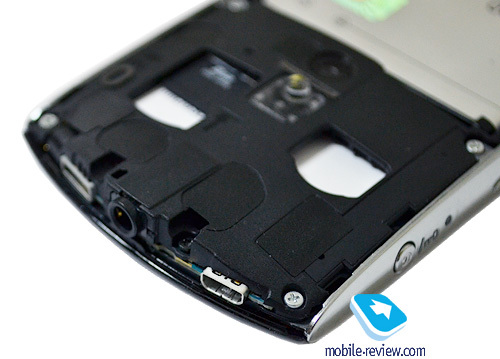 The bottom side is highly curved and could not hold anything more than the phone's main microphone. On the top we find a standard 3.5mm jack for connecting audio accessories and next to it we find the microUSB slot for either charging the phone, connecting it to another device or both. 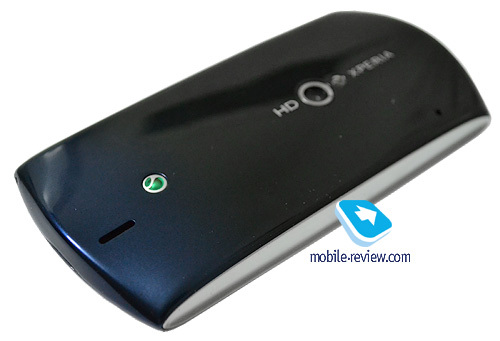 Unsurprisingly, here we find the HDMI port, a feature seen in this model and in Arc for the first time in Sony Ericsson phones. MT15i size as in the majority of phones does not allow space for a standard HDMI port, so a mini port is used much like the one found in Motorola phones, but it is very different from the standard mini HDMI port found in Nokia N8. 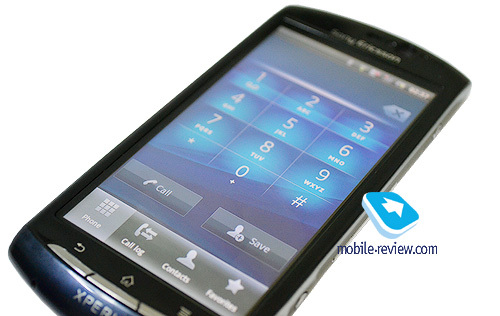 The phone screen boasts better parameters in comparison with Vivaz. Its size got bigger which is always welcome as long as it remains in logical limits meaning less than 4". Its resolution got an upgrade too, and now stands at 480x854 pixels - the maximum available resolution in Android phones at this time. While this is not the first mid range phone using this resolution it is certainly the first handset in Sony Ericsson lineup to use this resolution without being a high end device. Remember the situation with X10 and its smaller "siblings". Multitouch is supported this time without limitations of any kind and the responsiveness of the touch layer is more than adequate. It is definitely an improvement from the screen used in X10.The display stays readable under direct sunlight with minimum loss of color. Now let's get to the really interesting part of the screen or at least the part that Sony Ericsson tries to promote. 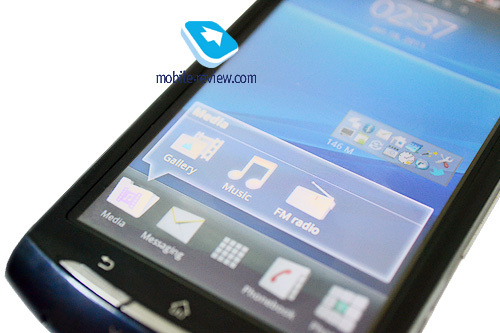 As we mentioned in our first look at Arc Sony Ericsson is by no means capable to have access to AMOLED screens of any kind let alone SUPER AMOLED screens that are reserved by Samsung for their own models. This left Sony Ericsson with normal LCD screens and of course without Apple's both technological ability to add extra layers and their marketing ability to present it as a once in a century breakthrough. While using Sony's Super-LCD modules could have been enough from a technological point of view from a marketing point of view would have not presented anything new to the world. And since "new" things are a marketing Bible, Sony gave another gift to its affiliated company and this time it's the BRAVIA logo and trademark. As a result both MT15i and Arc got a feature that can really make a difference if compared to phones without "BRAVIA engine" when viewing pictures and videos. However there are many traps here. Given the result from the phone camera both in videos and pictures the improvement from "BRAVIA engine" is hardly impressive since the content it has in hand to process is far from impressive to begin with. 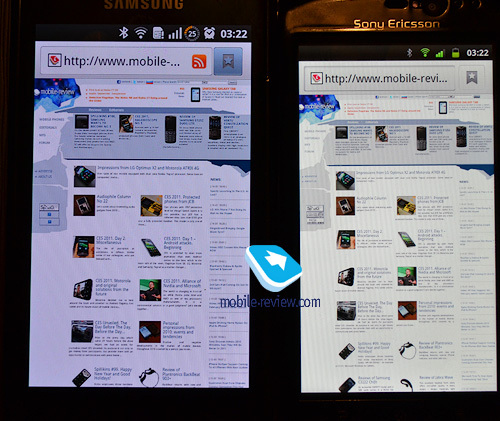 When viewing content created with some other device or transferred to the phone this improvement can really be seen and it manages to produce colors and contrast better than the ones seen in S-LCDs without this "engine" .The second trap comes in Sony Ericsson commonly mistaken marketing strategy . It will be presented as a technology that reduces screen energy consumption and improves the overall performance compared to other solutions. Overall performance and other solutions are the key words here. Overall performance is just used as a "trick" since BRAVIA engine is used only in multimedia content and nowhere else in the phone UI. Other solutions are the second key word in the presentation. This "engine" is directly compared to Samsung SUPER AMOLED technology. We will have to wait and see if this approach will be used in mass marketing as well. Such a direct comparison with a much better and proven technology may impact the company's image negatively. However after "WALKMAN" and "CYBERSHOT" this will not be the first time that a Logo or trademark from Sony will be poorly used from Sony Ericsson. The phone uses a 1500 mAh BA700 battery. 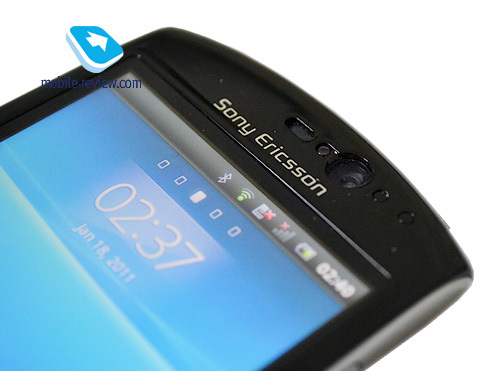 Stand-by time has always been a feature on Sony Ericsson phones and it has been carried over to Android phones as much as it was possible. MT15i proves to be quite a performer when compared to most Android phones. Using the phone in the standard mode with about one hour of calls, text messages and the "push" mail support for your Gmail account will give you almost 2 days of operation time. Using other phone features will reduce this parameter to a little more than a day. In every case you will have to try hard for the battery to die in less than one day. USB. Upon connection the phone asks you for the desired connection option. If the phone detects that PC companion is not installed on the computer you are prompted to install it from the phone memory card. The other available options are data transfer and simple USB battery charging. The transfer speed is always dependent on the memory card used. In our case with a SDHC card of 16 GB MT15i managed to transfer files with the speed of up to 10Mbps, which is more than enough. Bluetooth. The phone supports all available profiles for almost any purpose. File transfer is supported out of the box in Android 2.3 and stereo audio transfer to a compatible headset is supported as well. Wi-Fi. All available encryption standards are supported and the phone easily finds and connects to networks. A small change has been made in Gingerbread in terms of WiFi and now the icon on the top of the screen changes its color according to the quality of the reception. Just a small change but a nice one. The phone will be launched with 512MB of RAM and almost 300MB available for storage. Since Gingerbread is capable of storing applications on the memory card this available memory will be left for other kind of data and is more than enough for almost every usage scenario. 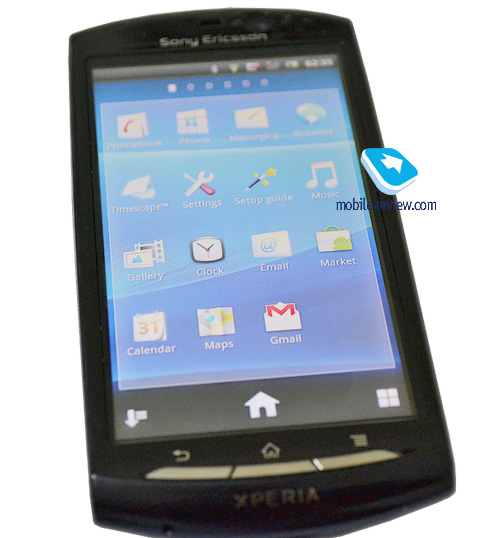 As to the platform we have to mention that Qualcomm is a traditional chipset maker for Sony Ericsson. This time around the successor to the QSD82xx platform from X10 is not ready for production. Apart from that Sony Ericsson decided not to use this new chipset in order to lower production costs. Much like in Arc case MSM7630 is used but with the maximum recommended rate of 1GHz instead of 800MHz used in HTC Desire Z for example. This new chipset comes with a new and improved GPU named Adreno 205. While being a mid-range solution from Qualcomm as a chipset this GPU offers more than twice the performance of the Adreno chip used in QSD8250 from X10i . As a result graphics of any kind along with the user interface itself got a significant improvement. That along with the wider variety of scaling options for the processor speed according to the demand can offer an increased level of performance together with greater stand-by time and stability. Since things can always be different on paper in comparison with real life the key issue is the performance of MT15i in every day usage. The phone never shows any signs of lagging or slowing down even in this pre-production stage for both hardware and software. Everything runs smoothly and especially every graphical aspect of the interface is presented in an eye-catching way . Video reproduction up to 720p is performed flawlessly. 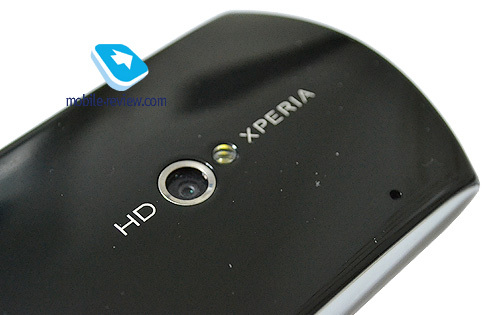 Although there is a native support for DIVX/XVID decoding in the chip this is not used in software from Sony Ericsson. The phone comes equipped with an 8MP sensor. Labeled as an EXMOR sensor from Sony it is almost identical to the one used in Arc. One of the advantages of X10 compared to its competitors at the time was its camera performance. This time things got even better. The camera interface for starters was reworked once again and now provides a much easier and simpler way to set up the camera than the standard Android solution. Touch to focus and face detection are supported both in hardware and software, while some nice features are added too. For example, an indication that there is a strong light source in the background with an appropriate adjustment of settings. An option to get to the gallery directly from the camera interface hasn't been added yet, but we hope to see it in commercial samples. As for the performance the phone can really produce more than decent shots in broad daylight and acceptable results indoors with good lighting conditions. On top of that the LED flash can help most of the time. 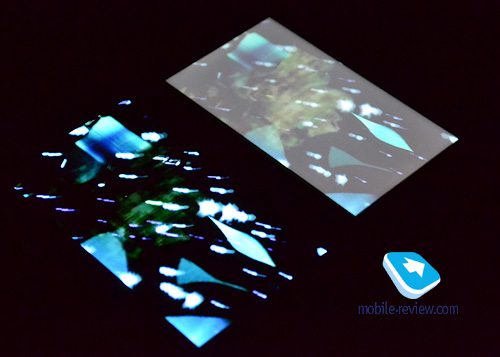 The really amazing aspect is the phone's video recording capability. Starting from Gingerbread audio recording in AAC format is possible and it provides much better results than before. The new chipset capabilities are used to the maximum and video recording is now flawless with steady and fast frame rate even when switching from one lighting condition to another. The end result is extremely good for a phone of this class and can easily compete with much more sophisticated solutions. It's a common practice for almost any Android device manufacturer to replace some elements of the default Android interface with their own options. This practice for Sony Ericsson used to be rather negative. For example, MediaScape replaced the default gallery application wit mixed results. Since Gingerbread offers a much better Gallery application than the one used in Android 1.6 (X10 and its smaller brothers) this time MediaScape was scrapped in favor of default Android applications. 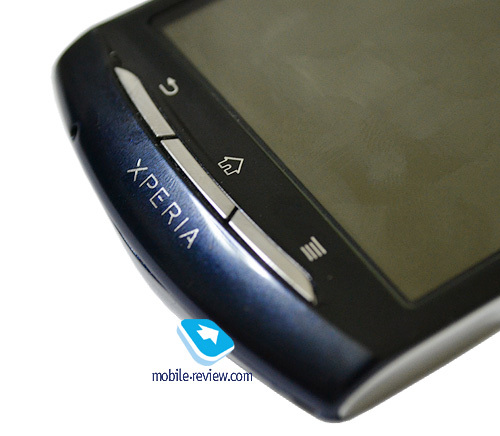 The main menu interface was changed though to one made by Sony Ericsson and it is a bit of an improvement. An option to present applications alphabetically, in accordance with the frequency of use and time of installation is present along with an option to rearrange them as the user wants. 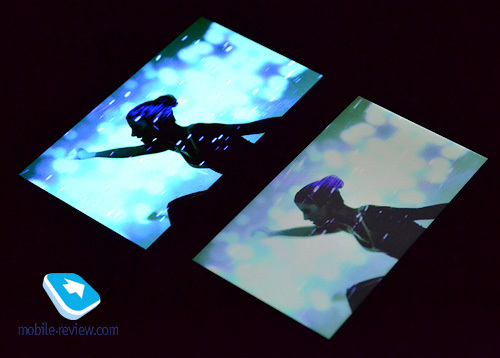 Some widgets are added and most notably the one for multimedia files that is placed on the stand-by screen. The bottom of the stand-by screen has been changed too by adding shortcuts for multimedia, dialer, contacts and messaging. The interface runs smoothly and some nice 3D graphics are added. For example, you see one while dragging a widget on the screen or to the "bin" to remove it completely. The only application that remains exactly the same is the TimeScape. 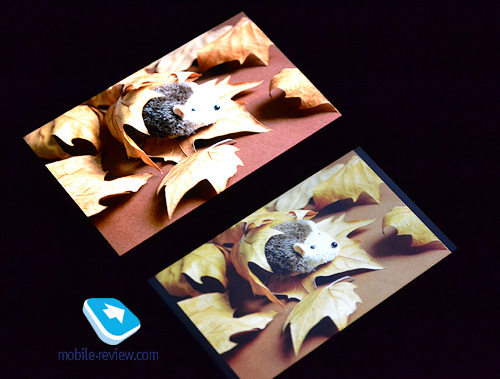 The improved 3D capabilities of the phone are used here too and working with the application proves to be easy and fun. In general a more balanced and well thought interface is used and some features of it can be easily transferred to newer versions of Android. 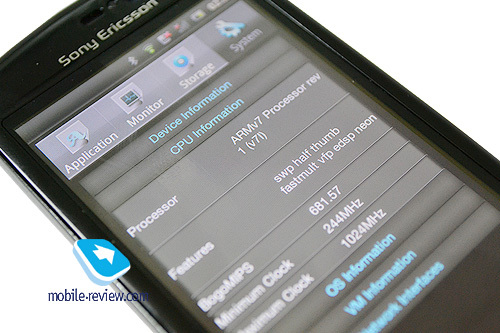 Some of the added features from Sony Ericsson and Gingerbread require special mention so we will deal with them in this section. We start from the music player application that got a small change in its design with buttons at the bottom of the screen for Now Playing and Album View. The most important change though is the addition of an Equalizer option that can now change the way the music sounds. While being hidden in the settings menu this addition is something that is not easily found in Android devices. As for the video player it is simpler than most people would want and can provide you only with play / pause and fast forward and rewind options. No video scaling to fit the screen or any other option like video details is available. 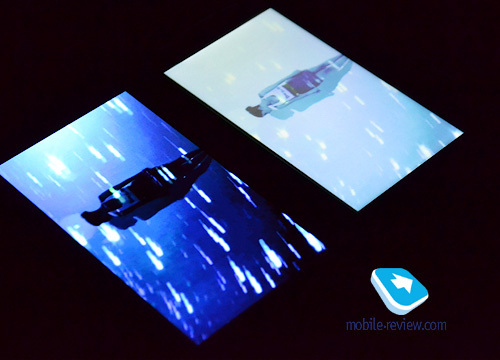 The gallery application is Android default one, a change welcome compared to the MediaScape application since the animations and effects presented are both smoother and more user friendly. 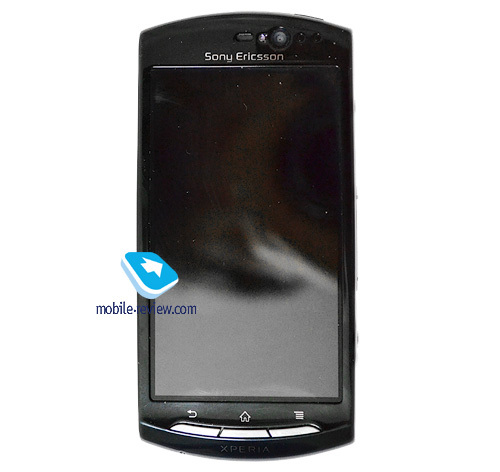 This time Sony Ericsson came up with a phone that really has much potential to become a bestseller in its segment. Both design and feature wise MT15i has all bells and whistles expected from an Android device. The phone will hit the market during the period (April 2011) when rivals will have similar features, but MT15i will bet on its design, several color options and the reasonable price (€320-350). It has been a long time since I saw a mid-range solution from Sony Ericsson to successfully compete with rival solutions. While this will not be true for Arc in MT15i we have a balanced device that can fulfill everyone's needs almost without any compromise. Some of the promotional decisions of Sony Ericsson may have a negative effect on its sales, however this time the promotion will be backed up by the device itself.